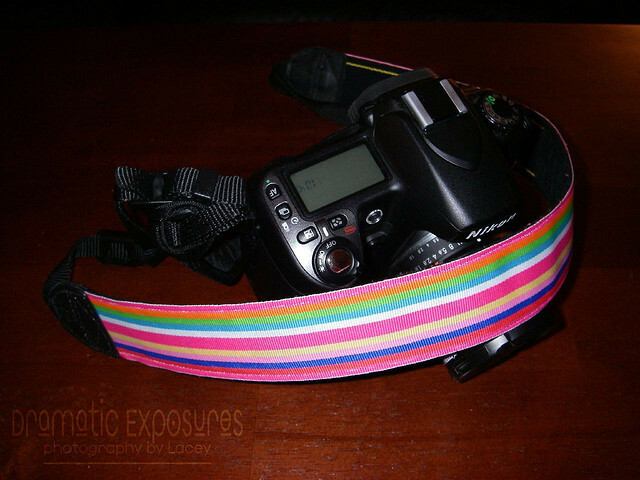 Since I had lots of interest for a how-to on my camera strap, here is it :-). Please remember though, I am not a teacher…if I confuse you or you have any questions, please just drop me a line. Also, use your own creativity to alter the steps if you wish…I simply used what I had on hand. 1. 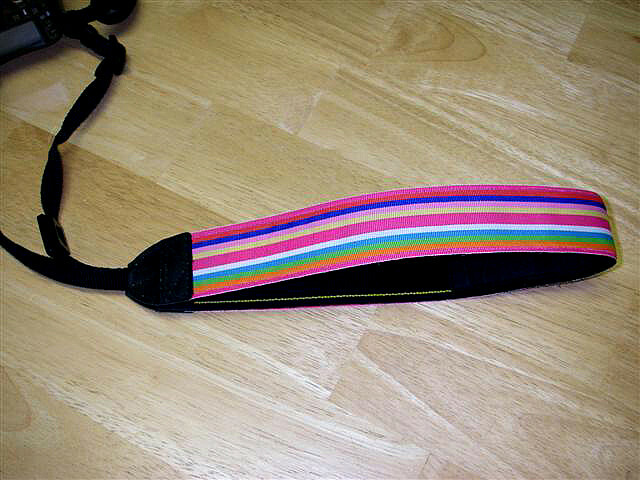 Select and measure the width of your strap so you can pick out ribbon accordingly. I used the strap that came with my camera. I primarily use a hand strap, so if I messed it up I wasn’t going to be stressed and you can get replacements on B&H or Adorama for less than $20. I also like the fact that it is made for my camera…I feel a bit safer. 2. 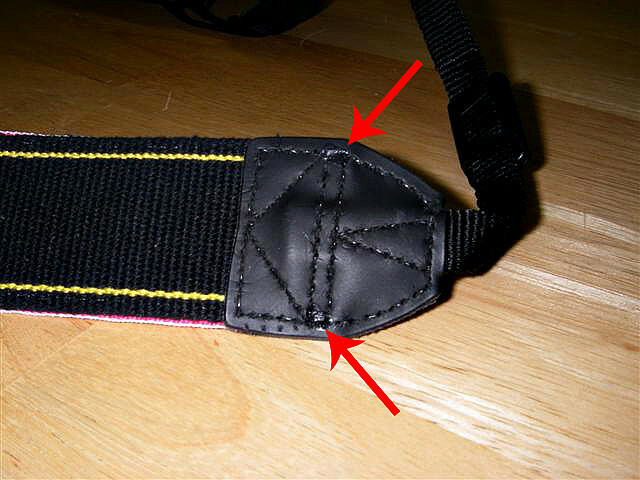 Use a seam ripper to remove the *ends* from the main portion of the neck strap. This is the part that took me the longest because I didn’t want to tear up the ends. 3. 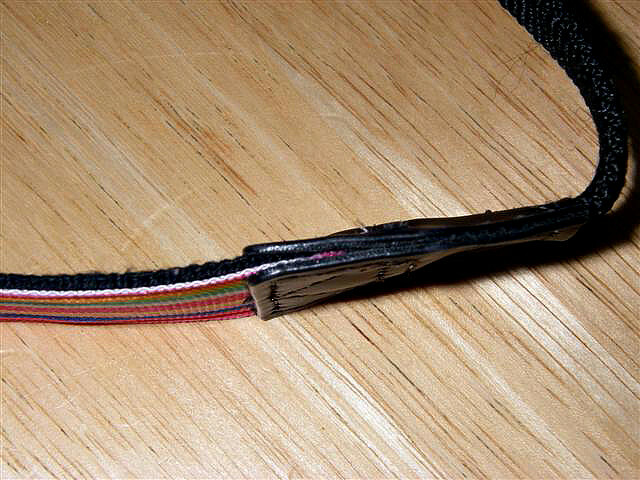 Cut a length of ribbon to fit the main strap portion. 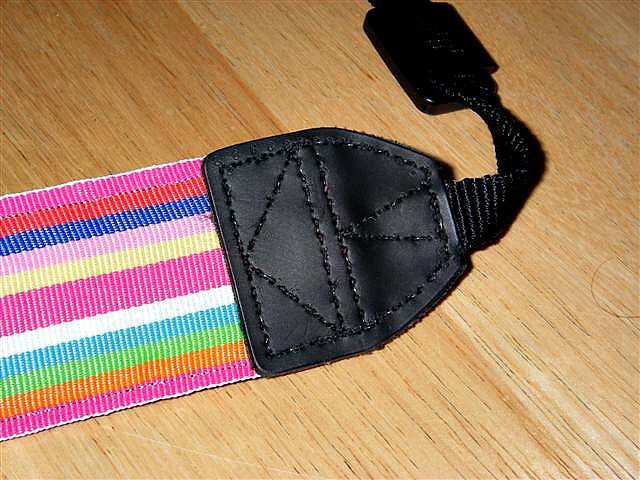 I used a strip of heatbond tape to secure the ribbon to the strap but this is optional. I also slightly trimmed the corners of the ribbon so it would not hang out once I put the *ends* back on. 4. 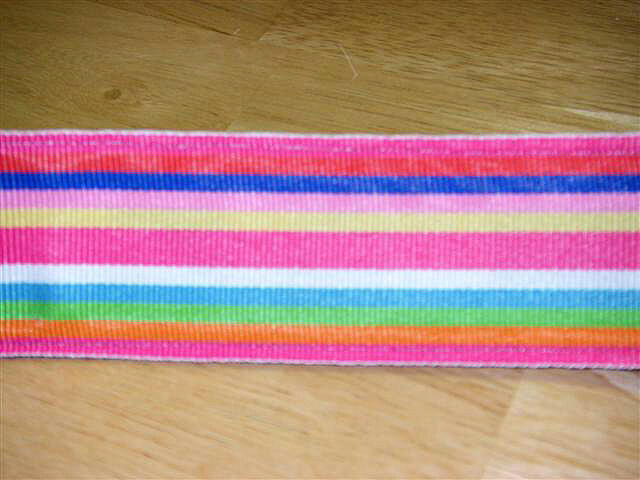 Stitch down the length of both sides of the ribbon/strap assembly. 5. Reattach the *ends* making sure to overlap the ribbon. I chose to hand stitch the *ends* so that I could use the previous holes but you can machine stitch it as well. Make sure to stitch over the important bits twice for added strength. 6. 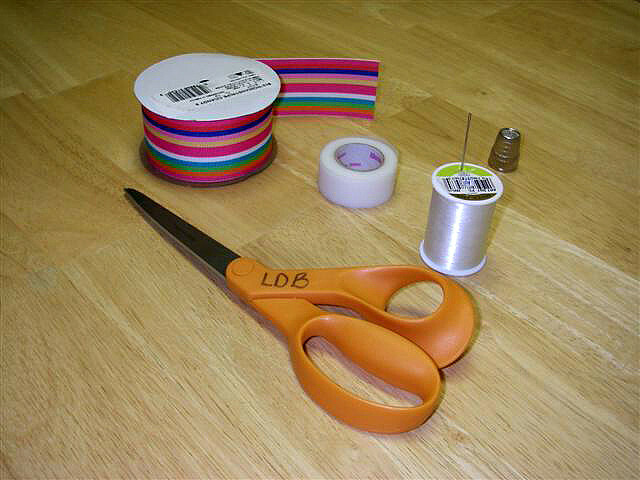 Add a drop of super glue to each side of the *ends* so that the ribbon does not fray. I also added a drop of super glue to my knots since I used nylon thread (just in case). 7. 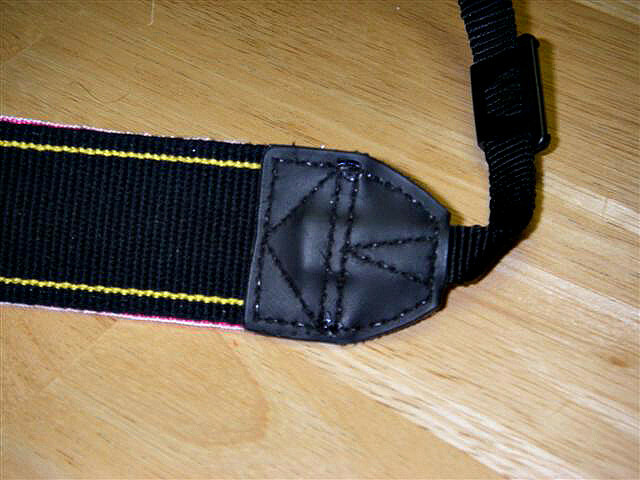 Do a pull test on both ends of the strap to make sure all is well and your camera will be safe. 8. 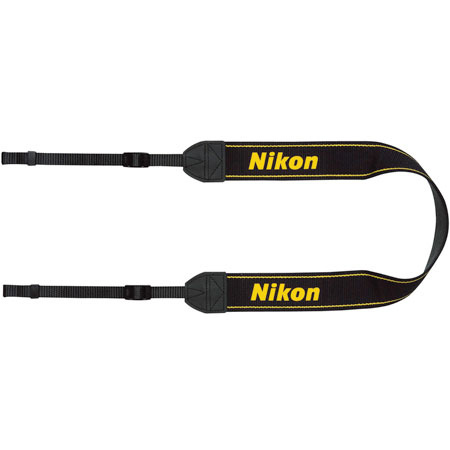 Reattach to the strap to your camera and enjoy your new strap that is uniquely *you*! I so totally have to make some lenses cozies! I could totally do that!! Thanks for your instructions, I will have to try this myself. PS. I love NCIS too!! Thank you for this post. I printed it out and took it with me to Joann’s yesterday. Wish me luck, I’m trying this over the next few days hopefully! :) I think that if I can pull it off it’s tons cheaper than those that are redone by the gals I’ve seen on Etsy, even though they are cute, I like that I can pick my own ribbon and get it done quickly, no shipping charges either! Thanks again!